MANILA – Prices of some basic goods will not be increased for at least three months, after the government appealed to manufacturers, a trade official said. These include canned sardines, canned meats, all kinds of milk, coffee, bottled water, canned meats, detergent and bath soap or what the government calls basic needs and prime commodities, said Trade undersecretary Ruth Castelo. Depending on the item, Castelo said the moratorium on price increases could be longer than 3 months. The DTI is not considering price ceilings at this time, she said. At least 5 million bags of rice imports will arrive in October to help bring down prices of the staple grain, she said. President Rodrigo Duterte in a nationally televised interview Tuesday said his economic managers were “working” on measures to tame the price spikes. Inflation accelerated to 6.4 percent year-on-year in August, the fastest in nearly 10 years based on 2012 prices. Duterte’s economic managers earlier announced price-taming measures, including the “immediate release” of 4.6 million sacks of rice and the importation of 10 million sacks of the staple grain until 2019. 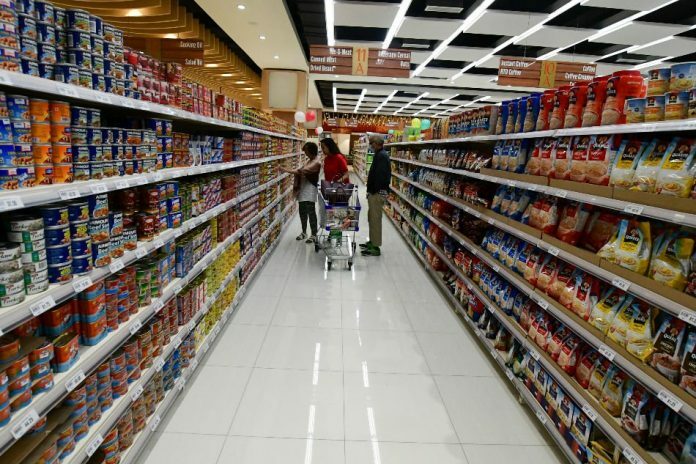 Trade secretary Ramon Lopez said Tuesday he was working on 100-percent compliance from businessmen on suggested retail prices of basic goods.